Perth Observatory has been serving WA for 120 years and is WA's oldest observatory. 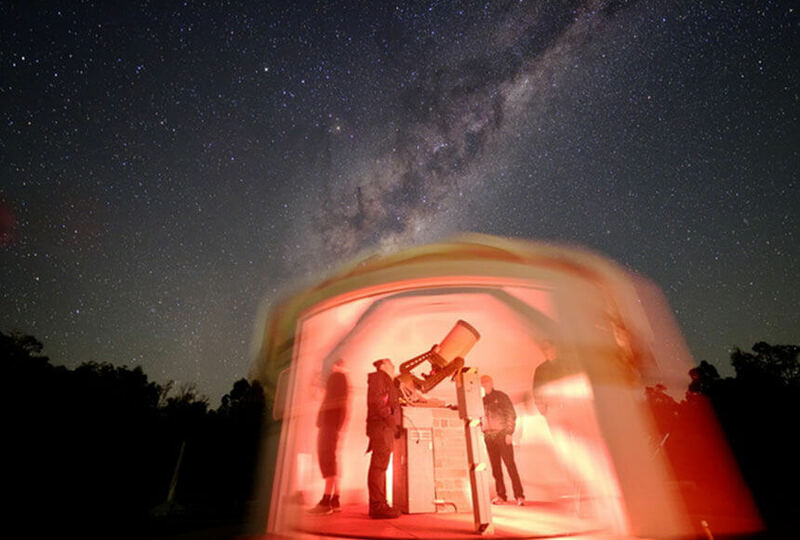 Located 25km east of Perth in Bickley, it's your gateway to the universe offering Night Sky Tours for the public to get a better idea of the starry sky and Day Tours around the heritage site and bushland. You can also stay for lunch if you book a BBQ in advance and maybe see their family of kangaroos (plus the occasional emu). The museum, shop and grounds are accessible to wheelchair users, although it is not possible to access the Astrograph or Lowell Telescope due to the presence of stairs. Open for scheduled tours only, see Perth Observatory website.